I often don’t feel very creative when it comes to gift giving. Partially thanks to the oodles of overwhelmingly perfect Pinterest crafts and partially thanks to me being a procrastinator and not having time to do something creative and fun. 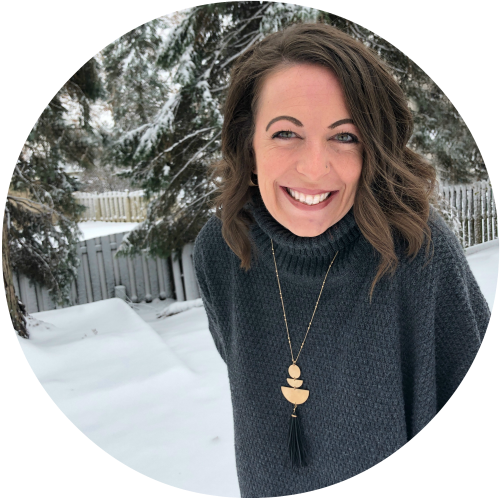 But this year, as my blogging girlfriend, Laura from Lalymom, and I were brainstorming how she could use Dove Chocolates to make a fabulous Mother’s Day present for Grandma… the light bulb went off! Laura invited us over (or maybe I hinted that she should invite us over) and we did a playdate with our 5 little ones, plus Georgina from Craftulate and her adorable son. 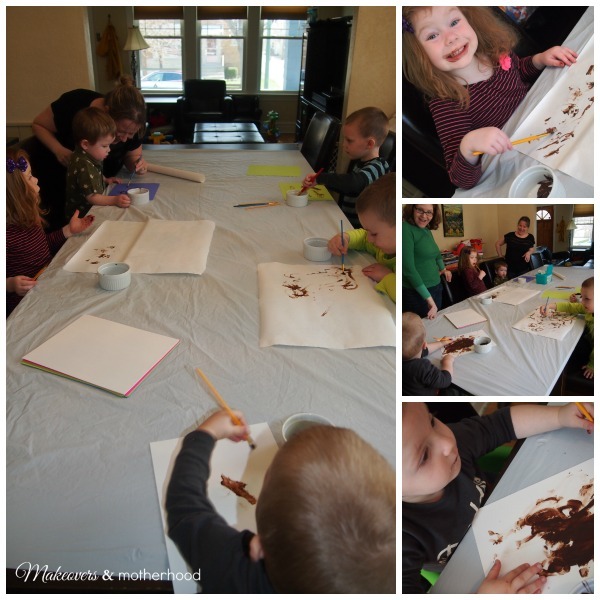 We had a fabulously chocolate craft time! Laura placed 1-2 Dove Chocolates in a bowl and microwaved it until it was melted enough to work with, but not too hot for little fingers to dip into. Ethan was a pro! 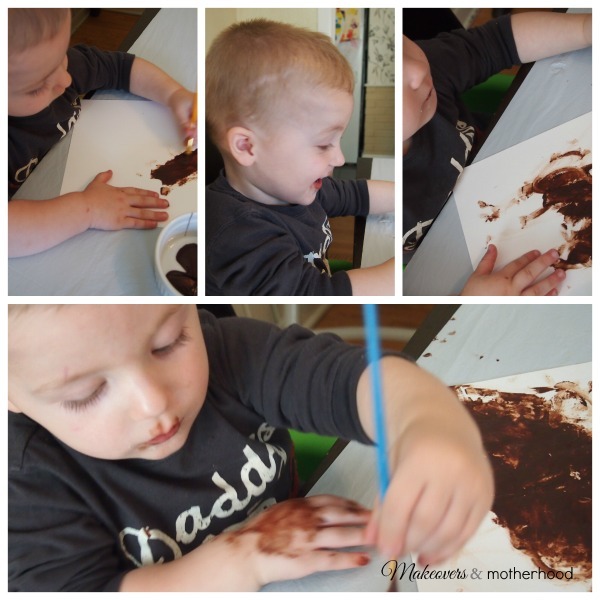 Man, this kid went to town with a nice thick layer of chocolate paint laid down on his cardstock. This was his first experience with painting and he wasn’t going to let it go to waste! Connor started creating a Picasso on his taped-down sheet of freezer paper. (BTW… freezer paper isn’t the best idea. The dried chocolate started to chip off and it was difficult to keep the paper flat.) When I told him we were going to make hearts for Grandma, he asked, “Will you paint the outside of a heart for me so I can fill it in?” His chocolate masterpiece was awesome! Laura’s daughter was the first one to do this… open mouth, insert chocolate covered paintbrush… but all the kids soon caught on. C’mon who wouldn’t rather eat Dove Chocolate than paint with it?! 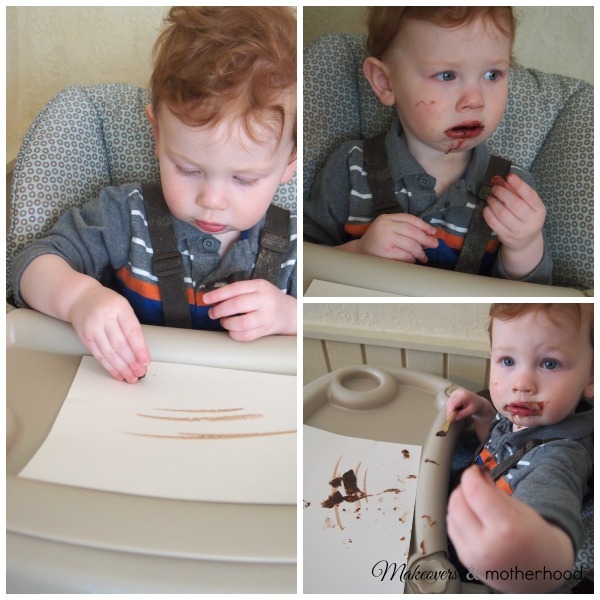 Laura gave her 14-month old an unmelted square of chocolate and showed him that he could color with it. He decided eating devouring it would be better! I painted Dylan’s hands and stamped them into a heart pattern on his green cardstock. Soon, both papers and faces were covered in chocolate (and drool)! (Surprisingly all their clothes stayed clean!) But you can’t give Grandma a chocolate covered craft project, so… I cut Ethan’s picture into a heart, mounted Connor’s freezer paper to cardboard so he could hold it, and took the boys outside for a photo shoot with their masterpieces! I thought framing the photo and writing the words on a mat above the photo would be cute. But then… I thought, what if I added the words over the top of the picture and gave my mom and mother-in-law a photo canvas. I priced photo canvases at several online photo printing places and the big office supply stores. The prices were either outrageous or the canvases were much larger than I wanted. So, I decided this called for a DIY project! With a project this darling, you have to remember that the wrapping will give it the finishing touch. 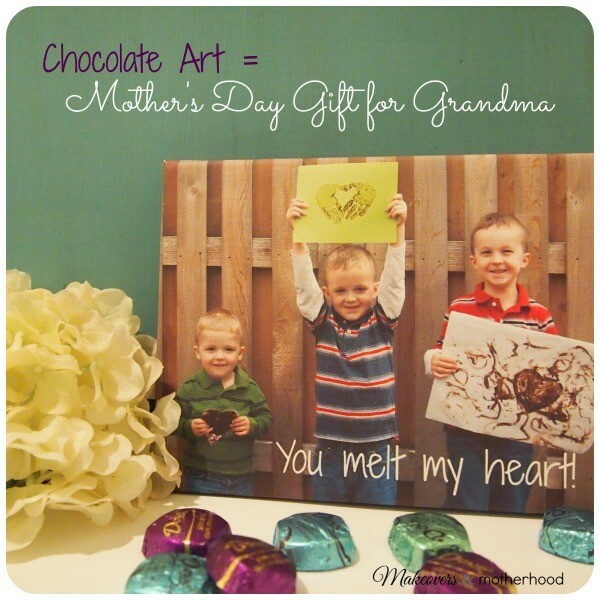 We will be wrapping each grandma’s photo canvas in tissue paper and then adding Dove Chocolates (and maybe adding a couple chocolate bars with Lalymom’s printable chocolate bar wrapper) before we close up the box! 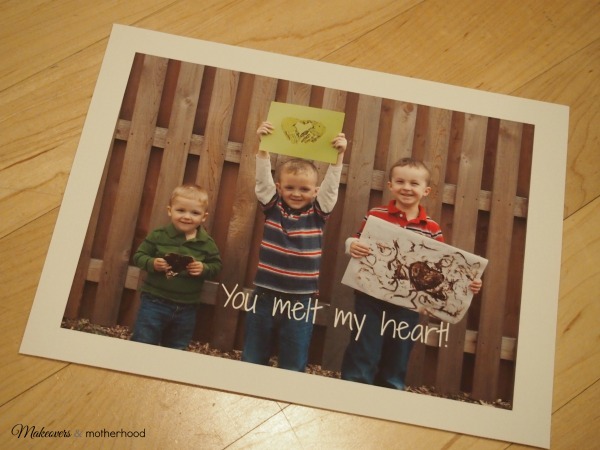 Nothing could be sweeter to a grandma than her grandbabies’ photo and chocolate! Hope you all have a lovely Mother’s Day! Holy cats! That is adorable!!! Your boys are too cute, even without the yummy chocolate that would have been an awesome gift! So much fun! Thanks for coming over for that fun playdate!